ColorTools Personal Color Analysis Kit Personal Color Analysis Kit to determine your best colors to save you time and money. A one-time price of USD $29.95 will be added to your order. This concise personal color analysis kit is the perfect guide for performing a self evaluation for your personalized color analysis in the comfort of your own home. 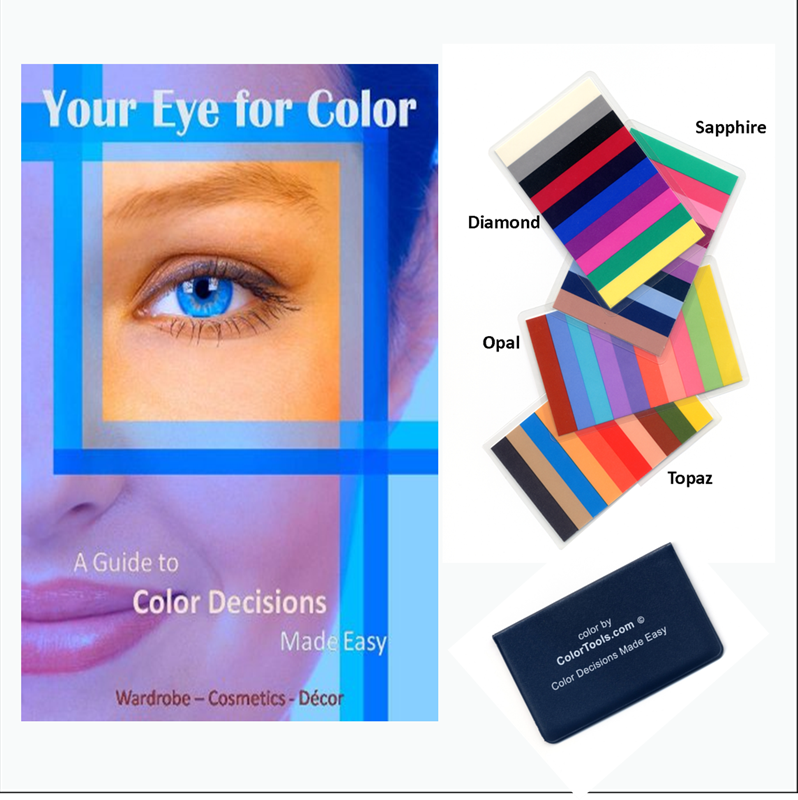 Detailed instructions and the Gemtone Card Set (your personalized color palette) provide everything you need for a quick, easy and foolproof personal color analysis. The laminated Gemtone Card Set fits easily in your wallet or purse so you won’t need to carry around bulky fabric swatches that don’t work. These handy little marvels can save you time and money. No more guesswork, no glaring clashing of color tones, fewer trips to return items and the end of hurt feelings, too.